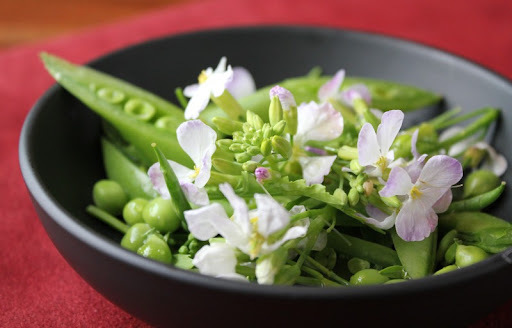 Wow I never thought I'd crave flowers to eat! Great post. I never knew the flowers from daikon were edible. I've never even though about planting them but I'll have to add those to my fall planting list! 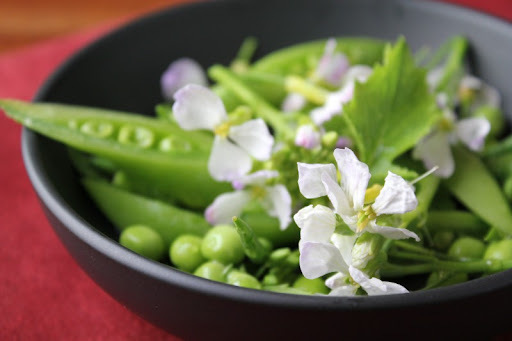 Those sugar snap peas look so good! My seeds are just starting to pop out little leaves so I can't wait until I can harvest. I love just eating them raw. Dennis - thanks! We've been trying to use as much as possible of the veg we harvest from the garden - even the bits most people don't normally eat.